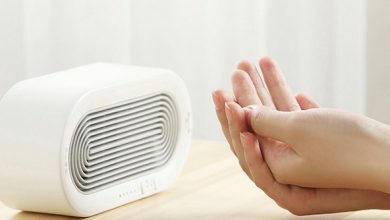 The Xiaomi Deerma DEM – SJS600 5L Purifying Humidifier was launched weeks ago. 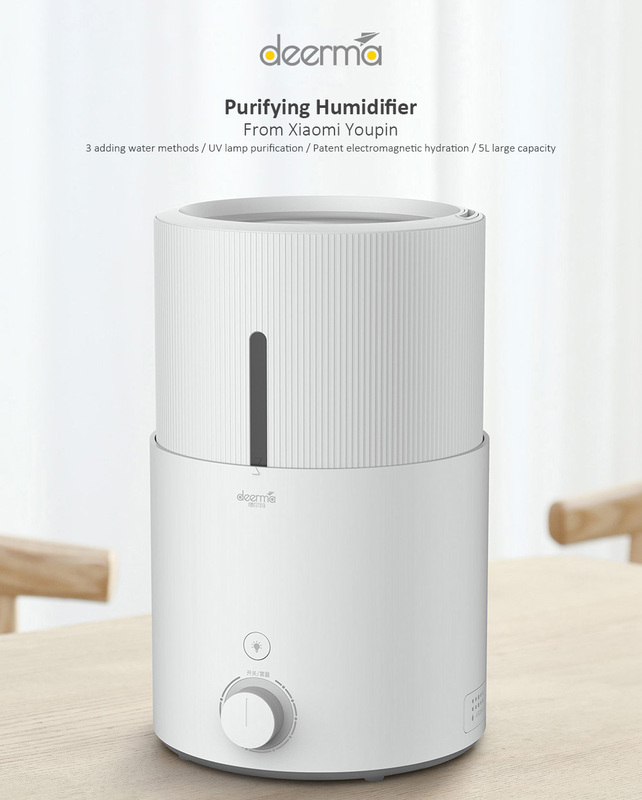 Unlike the Xiaomi Smartmi Pure Evaporative Air Humidifier which is kind of expensive, the Xiaomi Deerma DEM – SJS600 5L Purifying Humidifier is a budget humidifier that would do its job just fine just like the other xiaomi humidifier. The Xiaomi Deerma DEM – SJS600 5L Purifying Humidifier comes in an all-white color, which makes it looks classic and topnotch. It has a dimension of 22.40 x 20.80 x 33.00 cm, the dimension is sure good for all sort of sitting settings, no matter how small or big. It is made of plastic material. The humidifier has a large 5L capacity able to moisturize from morning till night. The capacity of 5L is equivalent to about 20 pieces of 250ml mineral water. Once added, it can continue to moisturize for 12hours, bringing convenience to life and work. The Xiaomi Deerma DEM – SJS600 5L Purifying Humidifier produces physical ultraviolet light, 99.99% sterilization rate. It uses UV-C UV lamps, the released light effectively destroy the circular DNA, inhibits the reproduction of harmful substance and kills 99.9$ of the bacteria in the water. Clean the water source in a physical way, no residue after purification, no need to worry, breathing healthy and humid air. 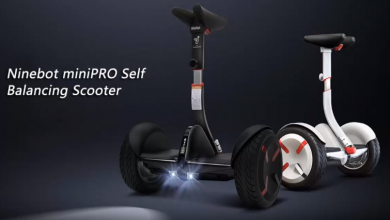 It is embedded with an integrated UV purification waterway. Water is the key to healthy humidification. 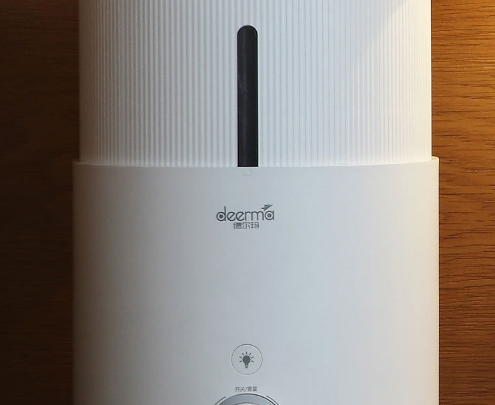 After each drop of water enters the deerma humidifier, it must flow into the UV purification zone and be purified by 254nm UV at 360 degrees before it can b atomized. Take the humidified water source seriously and protect the peace of mind of you and your family. 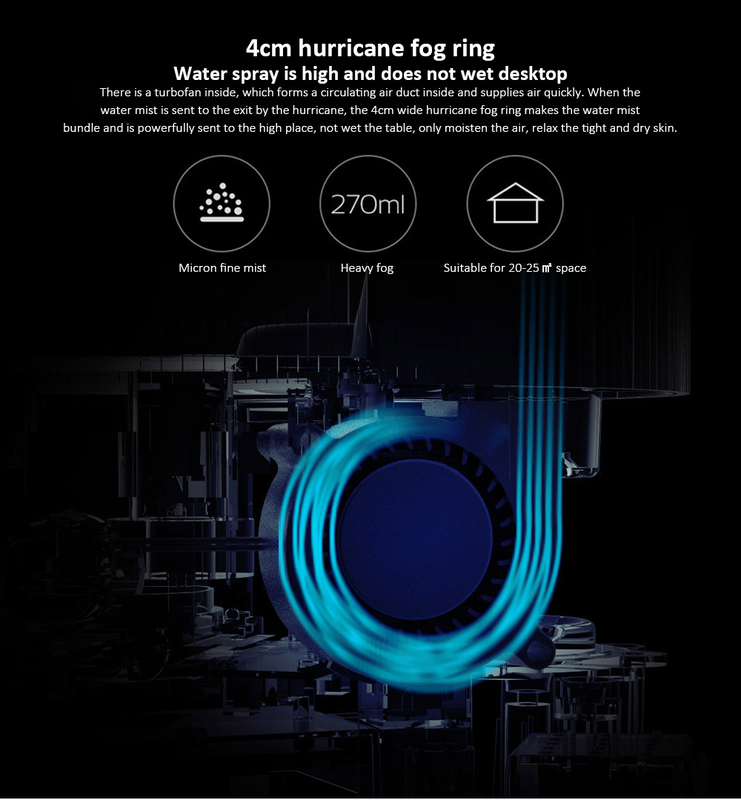 The Xiaomi Deerma DEM – SJS600 5L Purifying Humidifier is currently available on Gearbest for $84.40 and comes with a free shipping option.